As mentioned in #4112 the logo shouldn't be a h1. 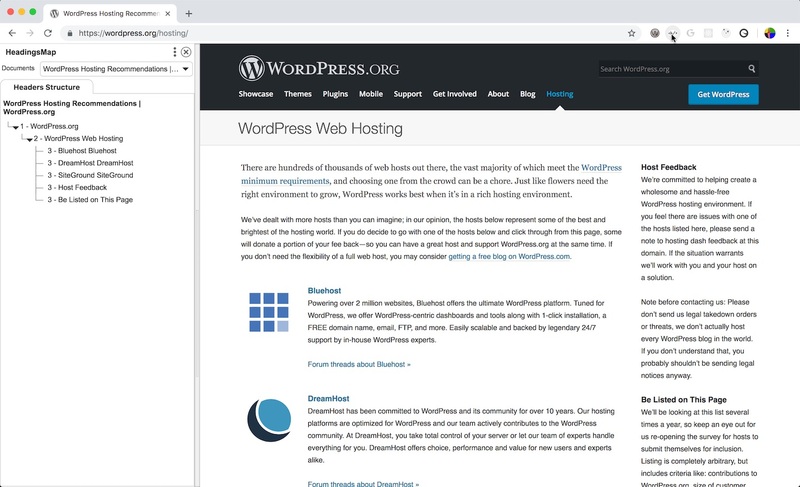 The main topic in this page is "WordPress Web Hosting" and that should be the only h1 in the page. Consequently, the headings in the content should be bumped up by one level. Not strictly related to this section but following one of the links, for example ​Forum threads about Bluehost », users navigate to the Support forums. Will update the ticket related to the Support section.